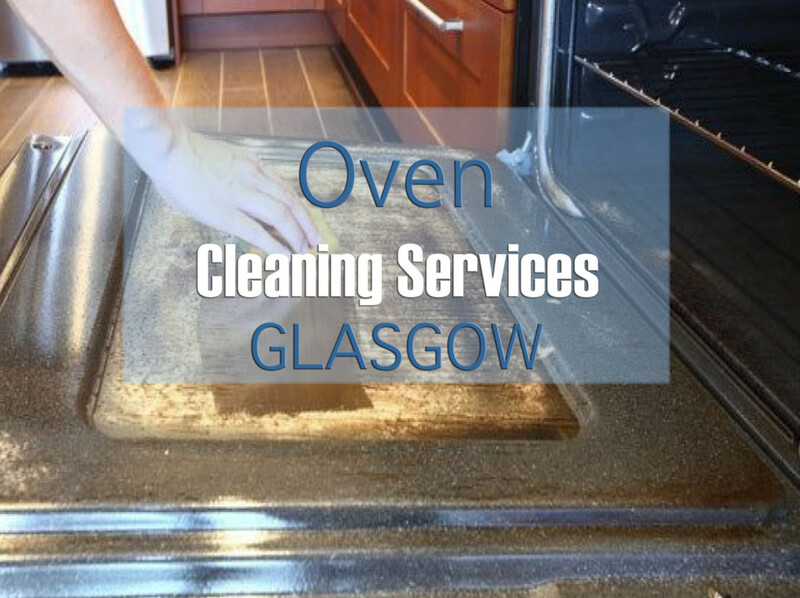 Our Glasgow oven cleaning service is extremely popular with busy, working professionals in Glasgow. At Glasgow oven cleaners, we offer convenient appointments to our customers. Has your oven gotten so dirty your too ashamed to let guests into the kitchen ? Do you remember when the glass was transparent and not covered in brown, baked on grime ? Is all that food that drops down to become trapped in the door then forgotten about beginning to build up ? If this sounds like your oven then It’s time to call in a professional oven cleaning service. If you leave it too long, the baked on grease starts to smoke when you’re cooking, or worse. !! You don’t want to be making an emergency call to the fire service because you forgot to clean the oven. They are never impressed with that call. 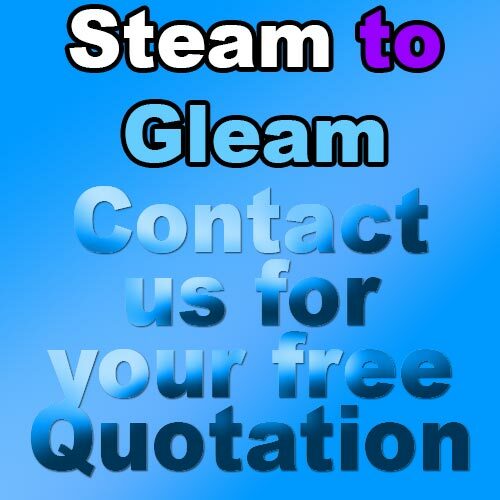 You will be glad you called in ~Steam to Gleam Glasgow oven Cleaning you did when you see the results we achieve with our eco friendly cleaning methods. We have nothing but rave reviews from our customers. Don’t be too ashamed to call us. Check our gallery out to see the ovens we clean on a regular basis. You are not alone and your secret is safe with us. 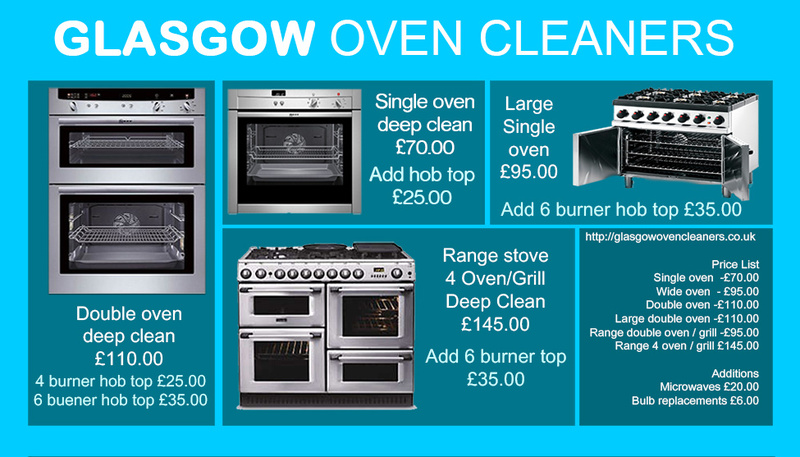 As you can see from the photographs below, Glasgow Oven Cleaners can take your dirty oven and restore it back to the condition it was in when you first purchased it. We will strip down the oven door and remove all the stainless steel internal metal work. By stripping down the oven internals, we can reach parts of the oven that are normally missed during normal oven cleaning. We only use our steam cleaning machine along with steel scouring pads and a lot of elbow grease. No harmful, toxic chemicals are used. We believe this is the safest and most effective way to clean your oven. A deep oven clean can take up to 5 hours if you are carrying out the task yourself with the toxic products sold in the supermarket. At Glasgow oven cleaning we can complete the task in half the time using industrial, eco friendly cleaning solutions and equipment. Oven cleaning the safer way. Steam oven cleaning is the safest way to clean the inside of an oven. Harmful chemicals used by other oven cleaners can leave a residue on your oven interior which can fume when the oven becomes hot when used. This is unsafe and dangerous. Professional oven cleaning negates these problems. 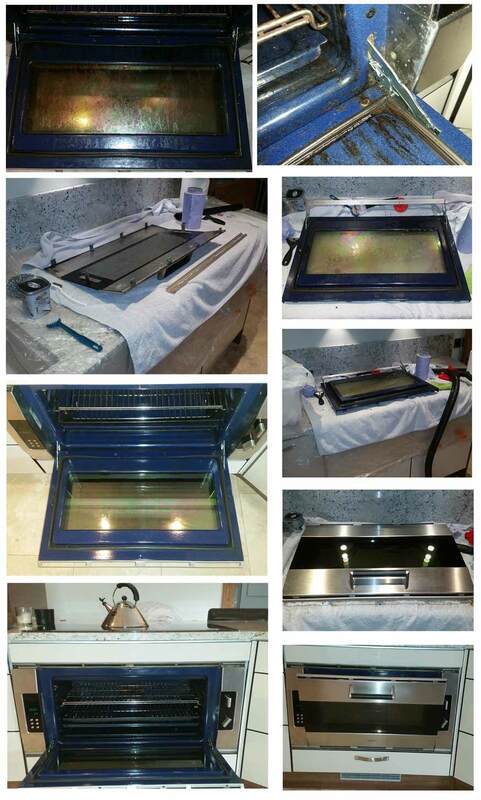 During the Oven cleaning process, we strip back the oven including removal of doors and Glass. This is what makes our service different from our competitors and from results obtained from DIY cleaning attempts. Once the doors and glass are removed we strip as much of the oven interior as possible, this includes oven walls ( when removable ) and all racking. We steep all the parts we remove in our dip tank in our van while we set to work steam cleaning the main parts of the oven. Our steam cleaning equipment produces continuous steam at 180 degrees delivered at 6 bar PSI. With a variety of attachments to reach into every nook and cranny of your oven, there is nowhere we can’t access and clean with this machine.